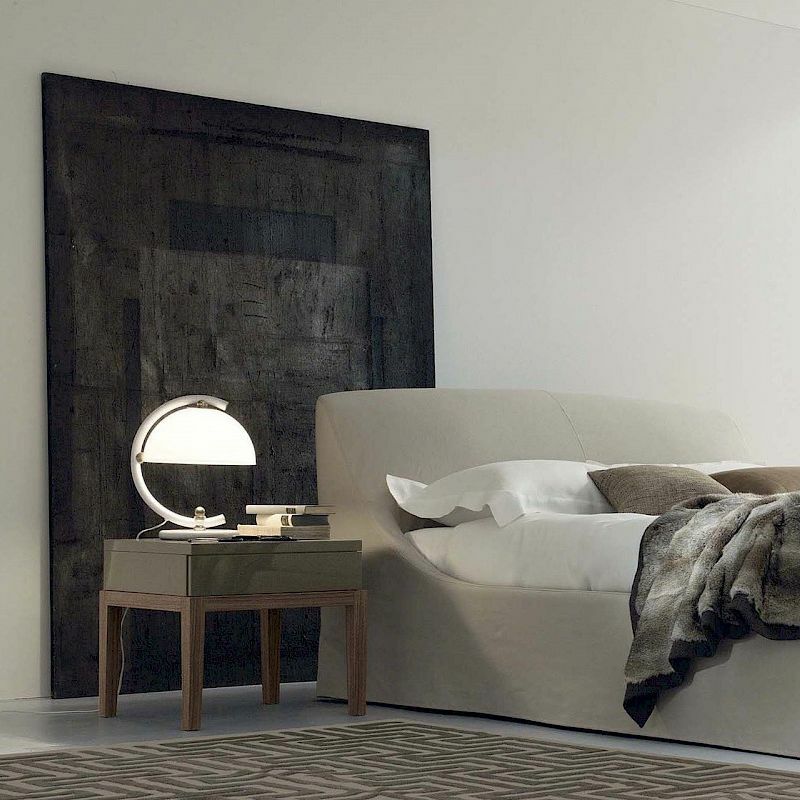 De Ville is a system of containers, which includes a bedside table and a dresser, designed by the designer Stefano Gallizioli to furnish the bedroom. The distinctive feature of this Italian design furniture is that the container rests on wooden legs that give great lightness both to the bedside table and to the dresser with two drawers. The design is certainly original and meets new aesthetic trends, but the suspension also helps to maintain order and cleanliness at home. The containers are available with a matte lacquered, glossy and metal finish, while the legs come in different woods. They are used ideally in bedrooms with a contemporary design, but can also be inserted in contract projects, such as furnishings for modern hotels where the quality of the details makes all the difference.